We provide high quality audio production services for publishers and entertainment companies. 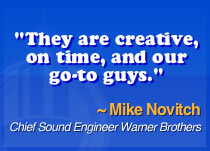 Our commitment to excellence has made New York Audio Productions an industry leader in audio book production. 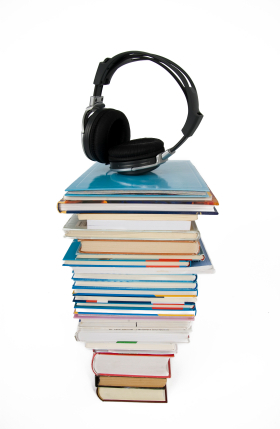 We have produced thousands of audio books ranging from children’s to commercial fiction to foreign language programs to education to ESL. Our clients include virtually every major publisher including, McGraw Hill, Thomson, Heinle / Cengage Learning, Houghton Mifflin, Scholastic, J. Wiley & Sons, Prentice Hall, Time Warner, Vista, National Geographic, among others. NYA enjoys fantastic relationships with the best audio book talent in the world. We can manage your project from script development to recording production to original scoring, from mastering to finished CDs or MP3s ready for download and distribution. New York Audio Productions is a full service, single source media production company. We can help you plan and develop your next project from start to finish, supply you with quotes, or answer any technical questions you may have. We want to hear from you!